This awesome trophy will be the highlight of your flag football season! The Supernova Flag Football Trophy features a star-powered flag football player in action on a black marble top base. Take advantage of our free engraving and add each player's name, the team name, and the year to this star bound award! 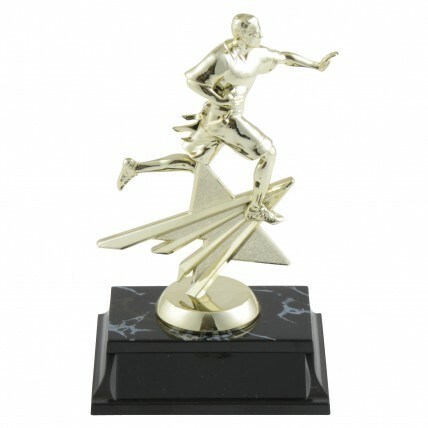 Deluxe Flag Football Tournament Trophy - 27.5"